Having a party? 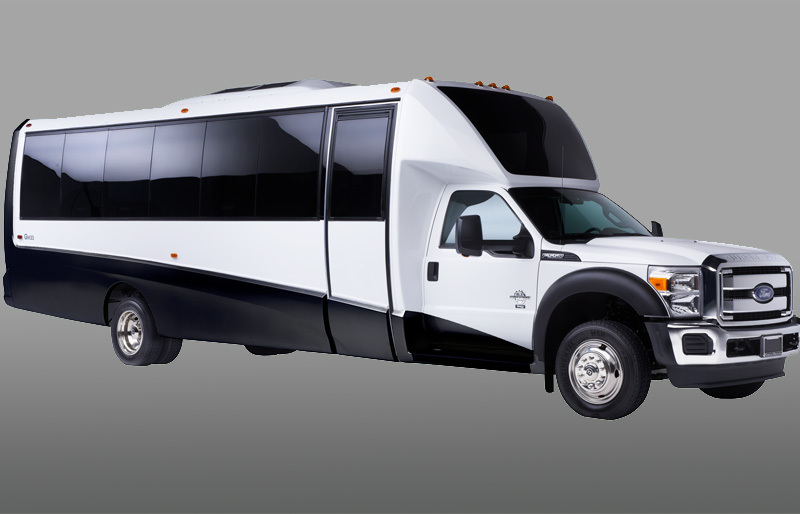 Need transportation for up to 26 people? 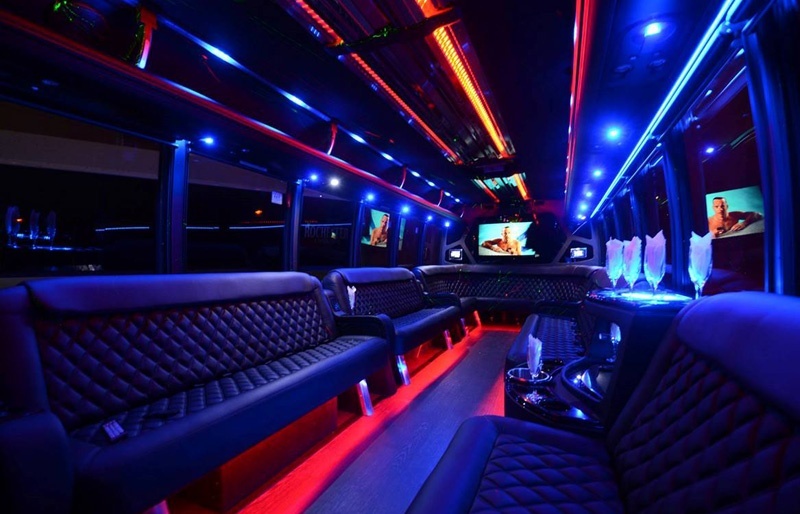 Then check out our luxury limousine Party bus! 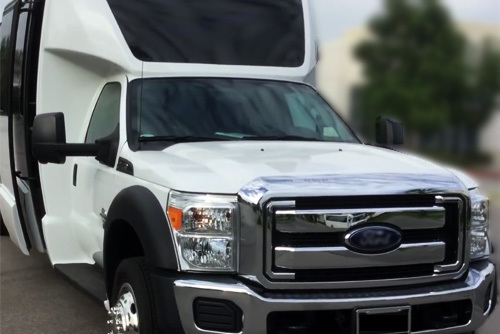 Perfect for weddings, bachelor / bachelorette parties, trips to the casinos, sporting events or any occasion that requires transporting a large group in luxury. 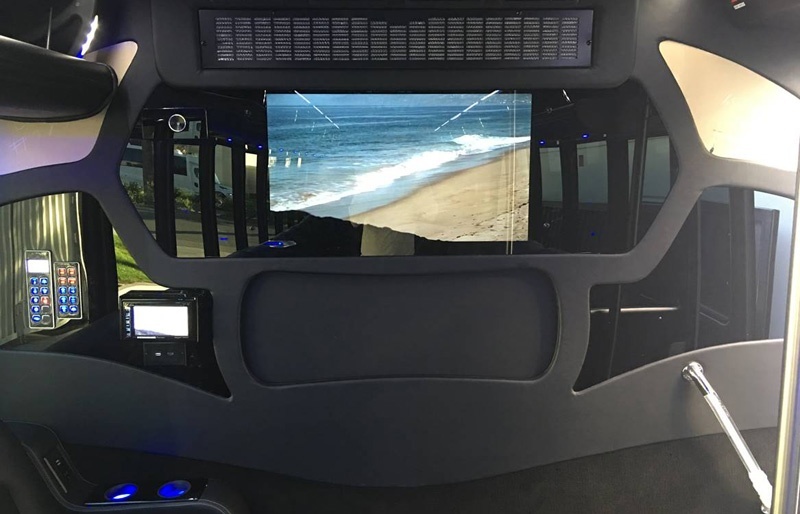 Equipped a 50″ Flat screen TV and a 32″ TV, DVD player Audio package w/ Touch Screen Bluetooth/Pandora/iPod connectivity. HDMI Outlets for LED TV’s. Paging system. Color laser lights. RGB LED Color Change on Ceiling giving it a true night club sound experience. Custom Luggage Racks w/ Blue Lites. Automation Window Shades. Comes fully stocked with Ice and Crystal Glasses. 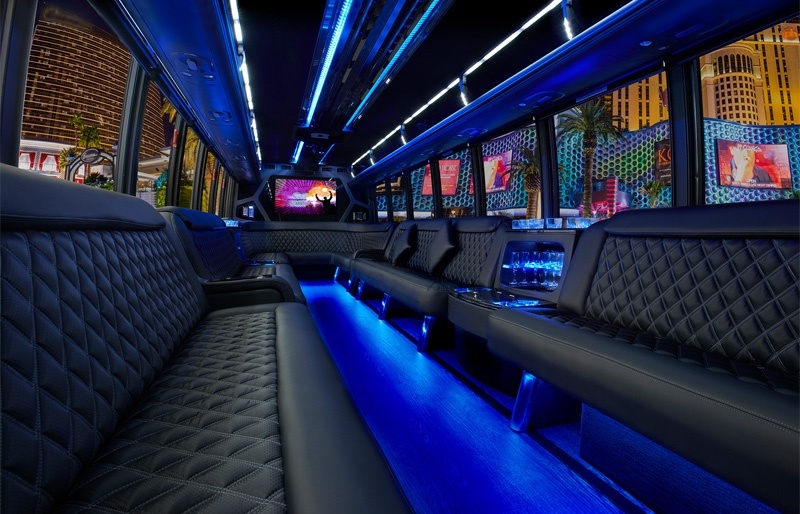 It also has a Custom Corian Bar with a Custom Stainless ceiling with LED accent lighting plus wrap around leather seating. Quality wooden floors.